The temperature is dropping and all I want for dinner is a cup of hot soup. 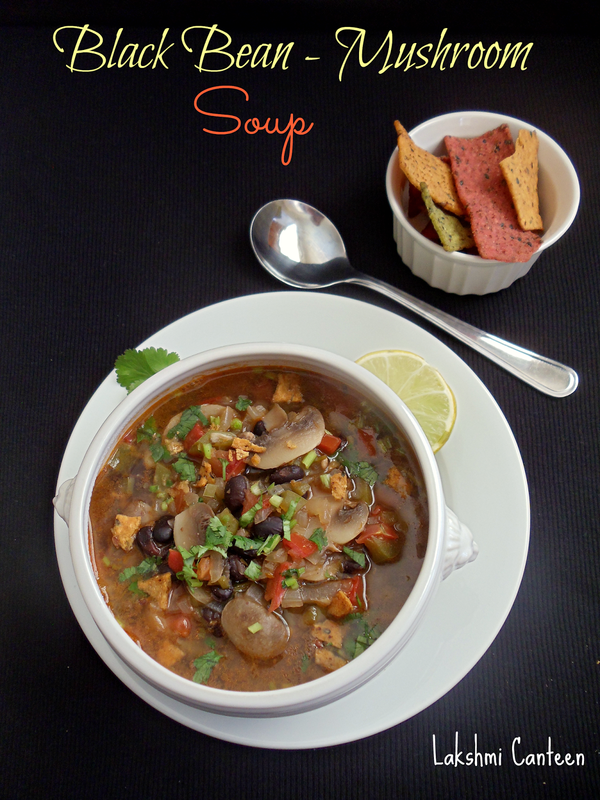 I have been making few vegetarian soups and this is our current favorite soup. Last year I had Black bean soup in 'Panera Bread' and liked it. Since then I have been thinking of recreating their soup. I went to their website and noted down the ingredients they use. I also referred to this recipe and came up with my own variation. The soup turned out quite flavorful. I enjoyed mine with few corn chips on the side. Do try this recipe and let me know how it turned out for you! Note: #You can use vegetable stock instead of water, to add more flavor to the soup. 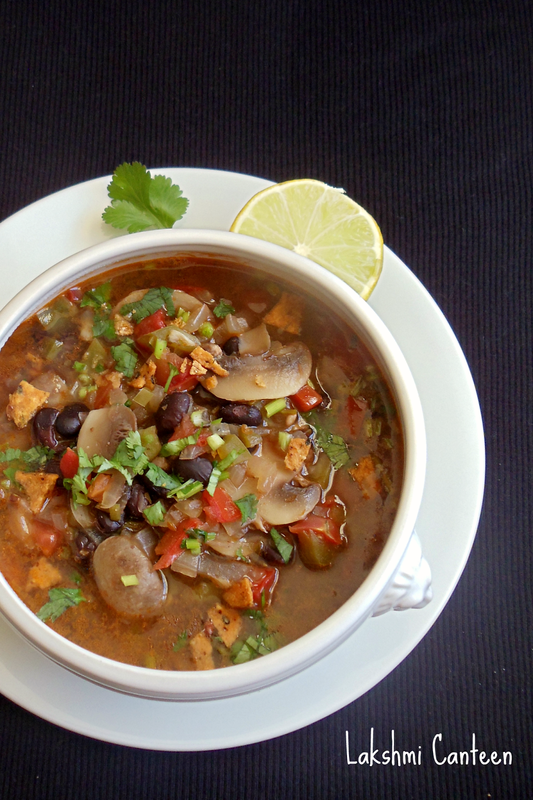 # Usually I cook a big batch of black beans and freeze it. Hence I used just beans. 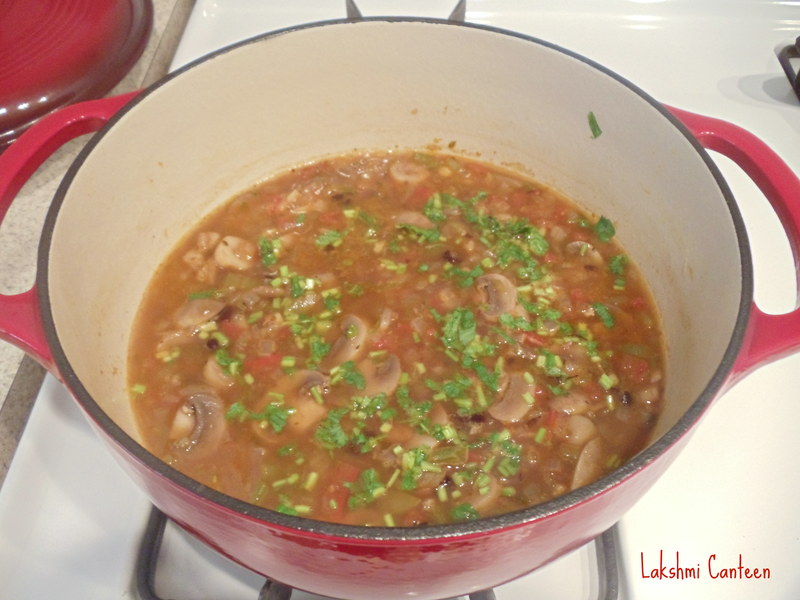 If you plan to cook the beans (separately, ahead of time) then reserve the water in which the beans was cooked. It adds more flavor and gives a black color to the soup. #You can also used canned tomato instead of the fresh tomato. I always prefer to use the fresh ones. 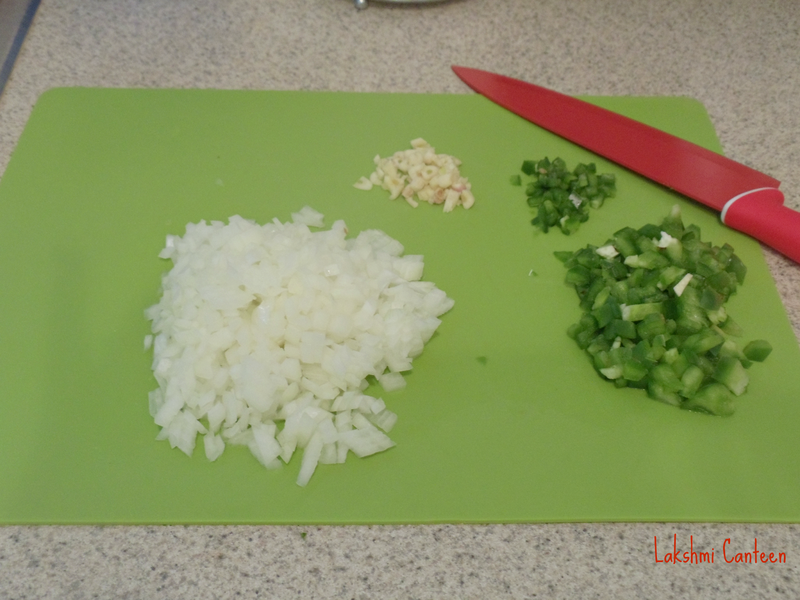 Chop the onion, bell pepper, jalapeño and garlic cloves. Now heat oil in a soup pot. 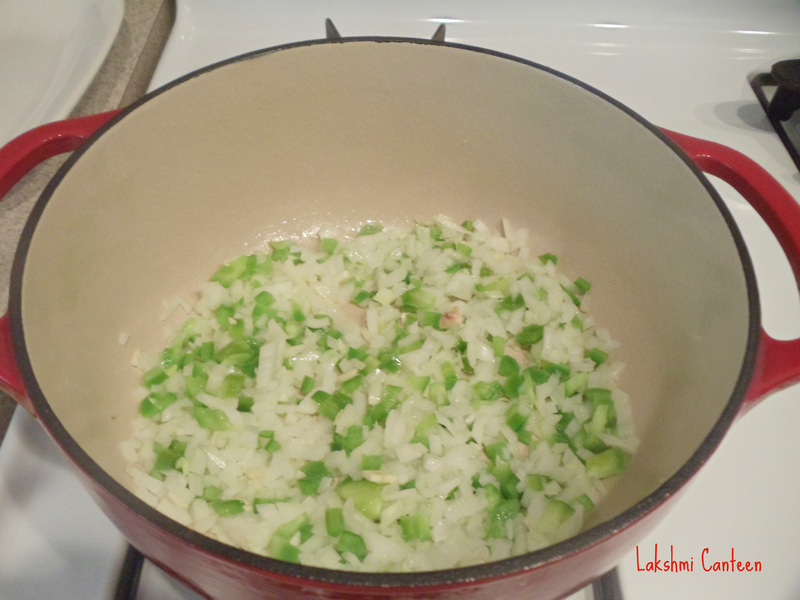 Once hot, add in the chopped onion, bell pepper, garlic and jalapeño all at once. Stir it and allow it cook until translucent. 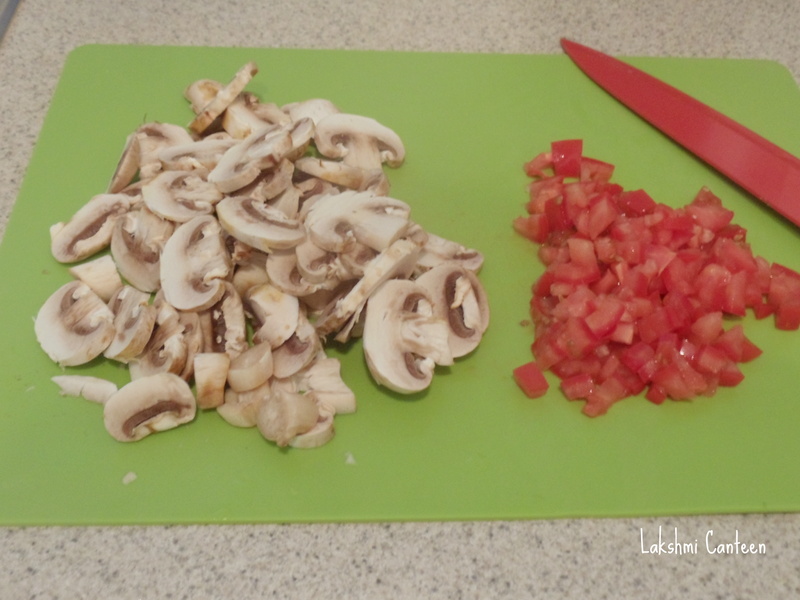 Meanwhile chop the tomato and slice the mushroom. 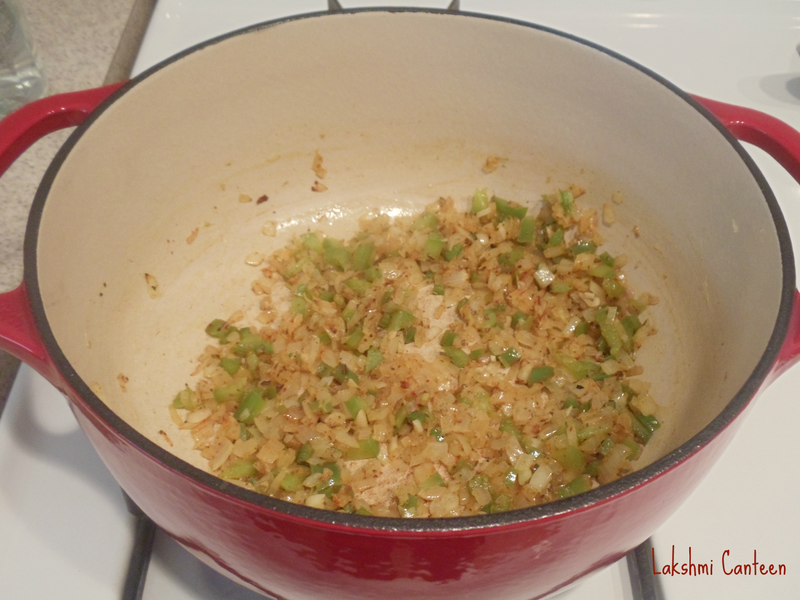 Now add cayenne pepper, cumin powder, dried oregano and salt to the onion mixture. Fry for few seconds. Then add in the chopped tomato and give it a stir. Let it cook for a minute. 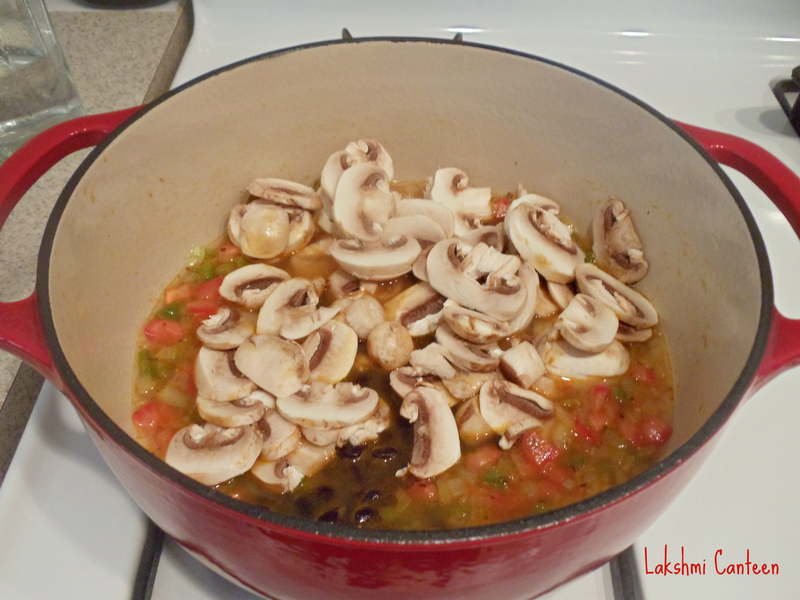 Then add water (as required), sliced mushrooms and black beans. Mix well and close the lid. Cook it until the mushrooms turn soft. At this point you can adjust the consistency of the soup. I like it watery and hence added extra water. If you want it to be thick then you can grind small amount of black beans separately and add it to the mixture. If everything looks good, turn off the heat. Sprinkle chopped cilantro and squeeze in some lime juice. Mix well. 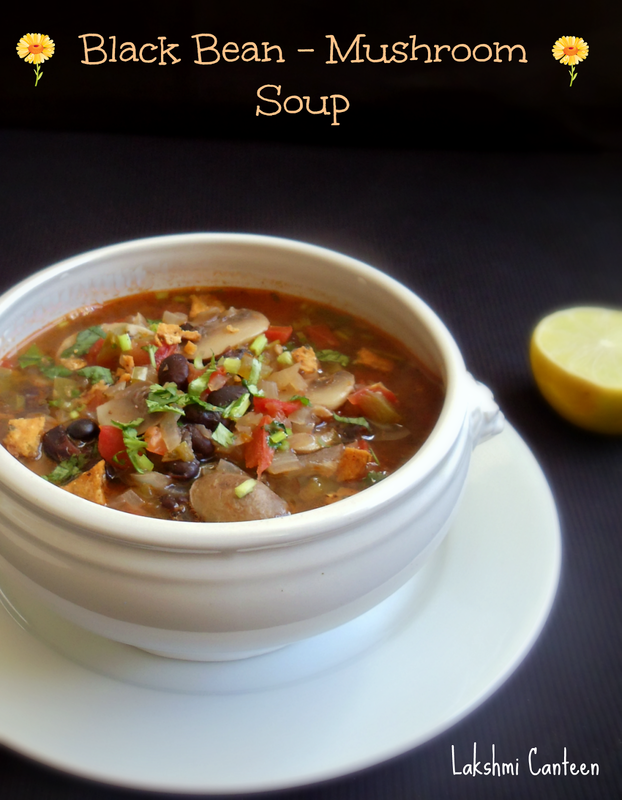 Black Bean - Mushroom Soup is ready!! Serve it hot along with few corn chips on the side. Above measurement serves two.